Finally, a well-dosed stevia-sweetened pre workout supplement that you can enjoy! 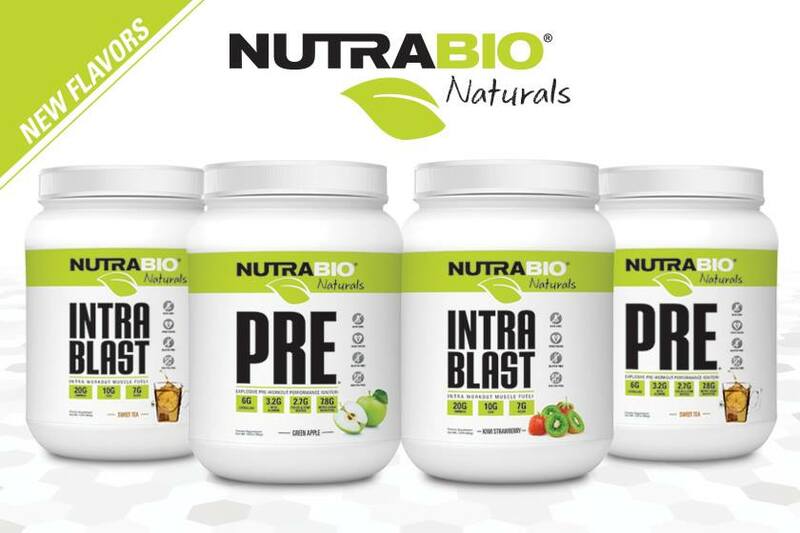 NutriBio’s Natural PRE Workout has been debuted, and it’s set to strike alongside another natural series product, Intra Blast. Last year, NutraBio created their Natural Series, launching BCAA Natural and Grass-Fed Whey Isolate. Has someone finally made a fully-loaded pre workout with stevia taste great?! 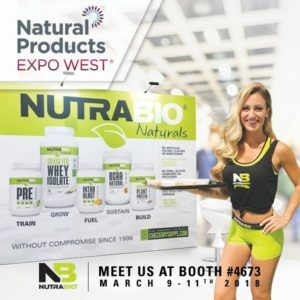 NutraBio is making massive waves in the early stages of 2018. After becoming the first major company to provide third-party lab tests of their products, the company gave us a taste of what to expect in the spring, with the upcoming launch of “True Facts” in a promise to take label transparency to a whole new level. But on the product front, the company is re-introducing the Natural Series, with two products that nobody has made taste good with just stevia – a fully-loaded pre workout and supporting intra workout supplement. Mike and CJ take on the first two flavors – what’s better, Green Apple or Sweet Tea?! Stevia doesn’t need to have aftertaste!! It shouldn’t take supplement consumers too long to realize that NutraBio is at the top of the class in supplement integrity and quality. One of the problems consumers face is whether or not to buy an awesome-flavored proprietary blend with a heavy dose of, “what the hell am I really drinking?” or an average-tasting product with a fully disclosed formula. With NutraBio, it’s a win-win and consumers get the best of both worlds – especially after that Blue Raspberry NutraBio Pre Workout launch! But what if you don’t want sucralose?! Why Is a Natural Series Important? If you just want to see the label, skip ahead to the ingredients area. It’s basically the same epic label as NutraBio PRE Workout but with stevia instead of sucralose and purely naturally-derived sources of caffeine. 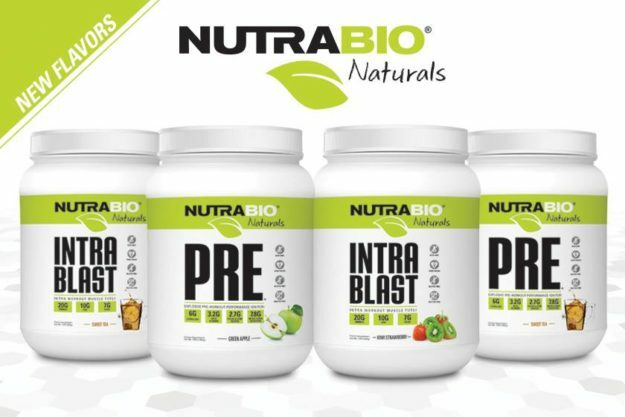 NutraBio has been well ahead of the curve when it comes to the market shift towards honest labels (as explained in The NutraBio Story), but supplement buyers have begun to consider the effects of artificial additions inside of their products, such as a artificial flavors, colors, and sweeteners. They never use fillers or excipients, nor do they use fake coloring/dyes… but they do use sucralose, and some users are getting away from it as stevia improves. Most people know that a greasy burger with a side of fries, is likely not as nutritious for the human body compared to a meal consisting of grilled chicken, sweet potato, and green beans. Similarly, most people would probably agree that using spirulina in the blue razz flavor is a bit more beneficial than the question mark that is “Blue #1”. So, when we drink a lemonade-flavored supplement and learn that the label lists zero mentions to lemon, lemon zest, or any other natural lemon derivative, we can feel confident we are drinking something designed to taste like lemon……but it isn’t actually from a lemon. That’s just a bit too freaky to a growing number of consumers. And that’s exactly why NutraBio launched its Natural Series – especially given that many of their own consumers are the ones who scrutinize labels so much in the first place! 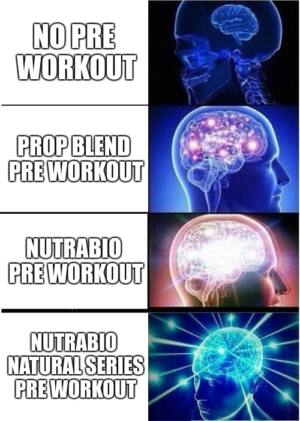 NutraBio’s Natural Series has grown (image as of March 2018), and will continue to do so! But today we focus on the PRE. How Is The Natural Series Different? So making a natural version will compromise the original formula, right? The Natural Series PRE is identical to the regular product version, only the Natural Series has zero artificial flavoring and zero artificial sweeteners. Natural Series PRE contains the same 22 clinically supported ingredients that users have come to love from the V5 PRE. Natural PRE uses Stevia as a sweetener, which is a natural sweetener up to 200 times sweeter than table sugar, but also has a bittersweetness to it that must be controlled. Stevia is a widely accepted healthy alternative to sugar with zero calories, and as it gets adopted en masse, we hope to see more research on it as well. So as you can tell, this isn’t going to be your average stevia pre workout… nor your average pre workout in general! TEMP LABEL based upon Pre V5 with some changes edited in. We’ll replace this once we have official renders! How great is it when pre-workouts comes packed with a heavy dose of Leucine, the most anabolic branched-chain amino acid? 3.5g is plenty to signal Muscle Protein Synthesis and might negate the need to spend money on a BCAA supplement to go along anyone’s fasted training. Arguably the most important amino acid for muscle building, L-Leucine also provide benefits for those in ketosis or low carb dieters, as it can be utilized in the body as an immediate energy source. Known for its “tingle effect”, Beta-Alanine is a valuable addition for those who may lack endurance or find themselves fatiguing easily during a workout. By increasing carnosine levels in skeletal muscle tissue, beta alanine allows users to increase endurance and reduce “fatigue-like” effects (the carnosine helps in lactic acid buffering, and helps support any pH drop). This makes it ideal for those who may be doing high volume workouts consisting of drop-sets and giant sets – beta alanine works best in the 1-4 minute exercise range. 3.2g could give new users a scare if they are not accustomed to Beta-Alanine tingles, but depending on who you ask (ie not CJ, as shown in the podcast video below where we taste it) the itchy ears are worth the performance benefits! Arguably the most beneficially proven supplement, creatine monohydrate has stood the test of time against its creatine alternative counterparts. Creatine increases cellular hydration and in turn, muscle hydration. The benefits of a clinical dosing of creatine range from: improved muscle development, improved strength, and improved endurance during training. 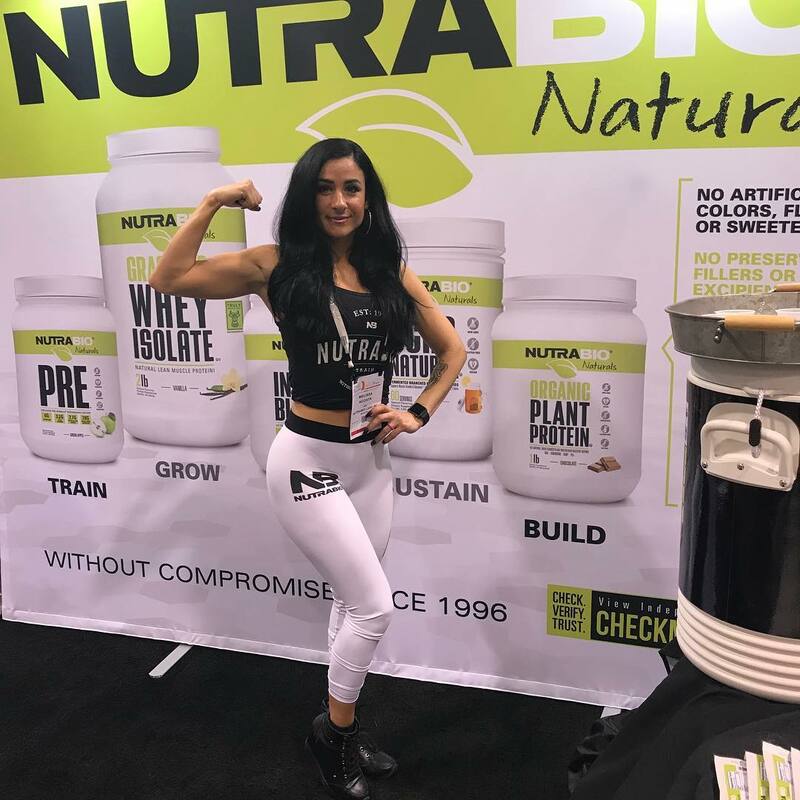 NutraBio officially launched the Naturals Series Pre Workout and Intra Blast at the 2018 Expo West, but we got to taste them a week before that and they’re fantastic! The dosing is spot on – you want at least 3g/day every day (even on off-days) to keep saturation. This is most definitely not underdosed like in some other popular pre workouts – but there’s still a bit more creatine to come! Another clinically-dosed muscle builder! This time PRE Natural has our preferred dose of Betaine, which will only further the benefits of the ingredients already mentioned. Betaine is an excellent compliment to Creatine, because it will aid in the balance of cell volumization and hydration, due to its function as an osmolyte. Malic acid is an underappreciated supplement which aids the body in utilization of fats, carbs and proteins for energy. It is necessary for the Krebs Cycle, which is the process by which the body’s living cells utilize energy. As a bonus, Malic Acid also aids with flavoring. As warned, we weren’t done with creatine yet! This one provides such much-needed magnesium. Albion’s Creatine Magna Power adds a bit of magnesium to your day, which is something most of us don’t get enough of anyway! Creatine Magnapower is a chelated magnesium bonded form of creatine which has superior solubility than creatine monohydrate. Studies have shown no performance differentiators between the various forms of creatine, however, a more soluble form of creatine will only aid in the absorption of the other nutrients and is a great addition to the creatine monohydrate. Plus, we’ll take that magnesium and a bit more creatine any day of the week. Known as the pump ingredient, Natural PRE packs a whopping 6g of L-Citrulline. Citrulline drives nitric oxide uptake during high-intensity exercise, and it actually works by converting into L-arginine first — but this nitric oxide pathway works far better than taking L-arginine itself. Time to get the pumps on! This is @brandondacruz_ but note that he’s using the original PRE (black tub). White tubs are coming to the stevia squad! Many companies skimp on the dosage but Natural PRE contains a clinically proven dosage. Another pump ingredient, Agmatine helps manage nitric oxide (NO) synthesis, which in turns leads to greater pumps. It does this by inhibiting nitric oxide synthase, which limits your nitric oxide. So you limit the nitric oxide killer and get more of the good stuff for increased blood flow and nutrient delivery! Agmatine also uniquely serves as a neuromodulator and neurotransmitter, to aid in the management of the Central Nervous System. But don’t worry, we have an entire focus section here to handle cognition and such. A patented and trademarked nitric oxide booster, this is the form of arginine that actually works! Move over arginine, Nitrosigine actually makes it work as originally desired! Nitrosigine is quickly becoming a common knowledge source for pumps, because it seems to work well for so many people. It’s an enhanced form of arginine (inositol silicate bound) that can drive nitric oxide levels in the body and has been shown to maintain those levels for up to 14 days! Arginine itself didn’t pan out, but when you bind it to the right stuff, it can indeed get its intended job done. Often viewed as a “feel good” focus ingredient in supplements, Tyrosine helps produce neurotransmitters such as dopamine, epinephrine, and norepinephrine. 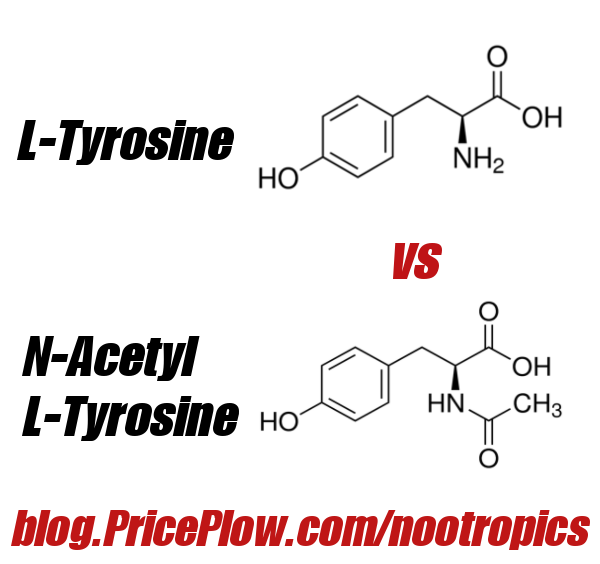 For the best effects from tyrosine, choose the regular L-Tyrosine version! These neurotransmitters aid to block distractions and allow the user to have a deeper level of focus — putting you in a minor state of “flight or fight”, yet they L-Tyrosine can also reduce stress and anxiety! If you’re distracted with work or personal issues, Tyrosine can help you leave your problems at the door once you walk into the gym. Choline is a precursor of acetylcholine, a crucial neurotransmitter for memory-related brain functions. Clinical studies showed an improvement in memory for participants who took Choline over a placebo, but the question is with how much dosing. 500mg of choline bitartrate is where we usually start feeling it a bit, so this is a good start, and accompanied with L-Tyrosine, a user should experience a deeper mental clarity and focus ability during his/her workout. 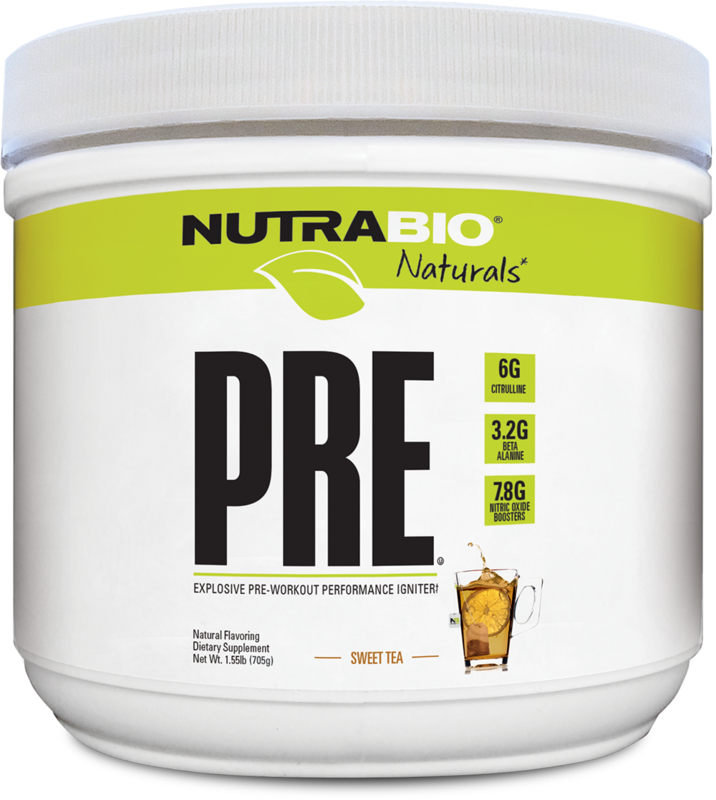 Natural Series PRE is not for anyone who wants to avoid stimulants. PRE contains natural sources of caffeine, so the mix of chemically-synthesized forms found in the regular PRE are not here. If you don’t like caffeine and epic focus and performance-enhancing workout pumps, this Natural Series pre workout is probably not for you! Truth be told, this is probably a serious dose for your average natural / stevia lover, and it could be exactly what they’d been looking for… or you just might want to take an ‘underwhelming’ scoop. It’s never bad to start with a half scoop anyway! When combined with caffeine, the cognitive effects really start to take hold. 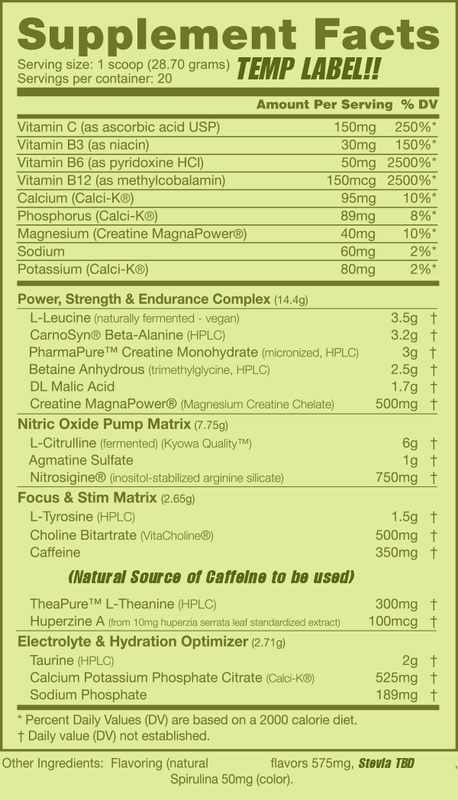 The question is in dosing – this is a good bit of L-Theanine, but our key is that we like to keep it under the caffeine dose, as 1:1 theanine:caffeine ratios are almost a bit too chill for us. 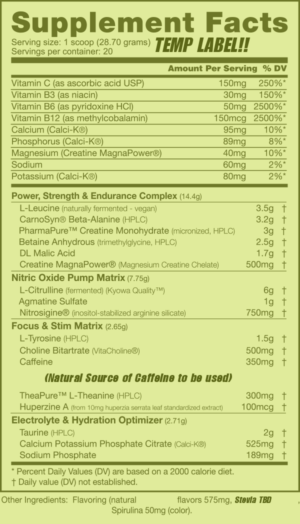 But with 350mg caffeine, the 300mg L-Theanine definitely smoothes it out. A long story made short, Huperzine A will help extend the acetylcholine effects enhanced by choline, for better and longer lasting mood and mental focus. A common pre-workout addition, taurine has multiple benefits across the body. Taurine is an osmolyte and aids with cellular hydration, which directly enhances endurance. Another benefit of taurine, is that it works synergistically with caffeine to improve focus and mental performance. Acting as vital electrolytes for gym performance and function, calcium, potassium, and phosphorus are are great additions to any pre-workout or intra-workout supplement. The additions of these minerals will help users ensure they keep necessary electrolytes replenished before they even start lifting. Arguably the most important mineral and electrolyte for performance, Sodium reign supreme. Vital for hydration, performance, and overall function, sodium is not the enemy that people make it out to be. Sodium promotes hydration, fullness and pumps – all vital elements of a great workout! Labels like this explain why NutraBio continues to be a people’s choice company. No one should ever need to question the importance of label transparency. Why would anyone pay for something without knowing exactly what they are getting? Why is nearly nobody else providing third party lab tests? They are already legally required to get lab tests on their incoming raw materials and outgoing product, you realize? Pure Supplements. Pure Results. 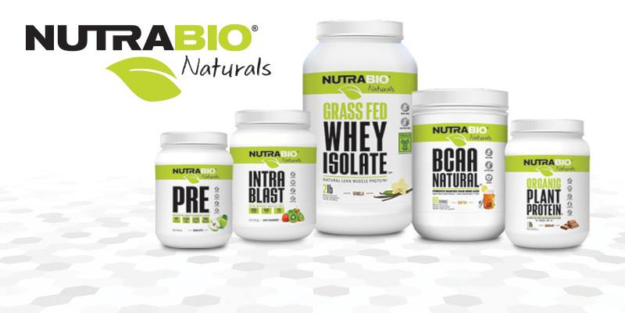 See all NutraBio product listings on our NutraBio page! Before companies like NutraBio, consumers had no other choice than to “trust” the companies they bought from. Those days are over. NutraBio changed the game for everyone and the momentum towards full label transparency has never been stronger. Before you had to trust, now you can trust and verify. Natural PRE’s launch consists of two flavors: Sweet Tea and Green Apple. The Green Apple PRE V5 is a refreshing take on an apple flavor and is unlike any other company’s. It uses the perfect amount of sweetness and is equalled out by a satisfying element of sourness. The Sweet Tea flavor may sound a bit abnormal for most pre-workout product, but who cares, this is basically a spring-time launch so we’re happy to have it! Given NutraBio’s track record with sweet tea flavors (notably in their Intra Blast, which has EAAs and is tough to mask), it will likely be a smashing success. Mike and CJ of PricePlow invited Ben Kane and Dan Margolis of NutraBio to join them for a fun podcast, and they started it out by taste-testing the new Green Apple Natural Series PRE and Sweet Tea flavored Natural Series Intra Blast. However, for the fruit cocktail shake-ologists in the world, it may be difficult to add other flavored supplements with the Sweet Tea PRE. No doubt some fruit flavors will compliment a Sweet Tea flavor (Arnold Palmers anyone? ), however for those who mix 4-5 fruit flavored powders into one pre-workout drink, the Green Apple may better be suited for such an approach. NutraBio Founder Mark Glazier alongside NutraBio athlete Zane Hadzick together at the Olympia 2017 crushing it! NutraBio CEO Mark Glazier is a man determined to revolutionize the sports nutrition and supplementation market. He has called out global companies and believes that by giving consumers fully transparent labels, the competitors will have to follow suit. And they are! Mark is on a mission and we all benefit from the fruit of his labor. NutraBio products have proven to be top market competitors. The company’s 100% Whey Protein Isolate won the Stack3d protein wars in 2016 and came in 2nd place in 2017. After this year’s Natural Series “PRE” and “Intra Blast” launches, it looks like they’ll get back to some new natural proteins too! For fans of NutraBio and those wishing to elevate in-gym performance, NutraBio Natural Series PRE offers alternate options for anyone who prefers to avoid artificial coloring, sweeteners, and flavors. The standard PRE V5 is an excellent option for any lifter and NutraBio is reigning above its competitors by offering products that work better and also offering those products in a “healthier alternative”. When we spend our hard earned money on products, why settle for anything less than full transparency and maximum effectiveness? 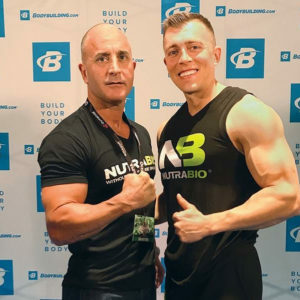 With products like the Natural Series, NutraBio is further setting itself apart from the industry normality’s and will push the rest of the industry to keep pace. 17 Comments | Posted in New Products, Supplement News | Tagged Agmatine Sulfate, Beta Alanine, Betaine, Caffeine, Calci-K, Chelated Magnesium, Choline, Choline Bitartrate, Creatine, Creatine Magnapower, Dicaffeine Malate, Huperzine A, L-Citrulline, L-Theanine, Leucine, Magnesium Creatine Chelate, Malic Acid, Nitrosigine, NutraBio, Pre Workout, Pre Workout Supplements, PurCaf, Stevia, Taurine.